Without e-mail and its amenities it is difficult to imagine the modern Internet user. Mail is a very important service that provides reliable and fast communication between people around the world, so if you have still no e-mail as soon as possible take care of its creation. Check with your Internet provider, if he provides you a free email on your own server. If such a service is that you can register a mailbox on the server of my provider. However, these boxes usually have a significant drawback — they are limited by the volume of incoming and outgoing messages and can't accommodate more than 10-20 MB. You can register a mailbox on an external server, which is also free, but which will be much more. Most e-mail servers used by popular gmail.com, mail.ru, rambler.ru, yandex.ru and others. Choosing a server for your future mailing address, follow the user-friendly interface, stability, amount of available space and quality of anti-spam. Mail.ru popular and easy to use, but it is fairly weak anti-spam, and you will need to clean out the spam and advertising from their inboxes. Service Gmail.com provides a high quality connection provides many opportunities for interactive communication in live chat and Google Talk, and also gives the user unlimited space email — 7 GB. Select the service which you want to get email address and start the registration process. Specify your personal data (at least real name) and be sure to carefully choose the login box. This login will be your email address and you will use it to get in the mail. Come up with a rather short and easy to remember and unique login, consisting only of Latin letters, numbers from 0 to 9 and the underscore character. Next, enter the password to access the mailbox. The password must be sufficiently complex and varied to prevent email hacking by cyber criminals. Create passwords at least 6 characters and use different letters and numbers in different register. Do not create passwords that contain your birthday or the first letters of the alphabet. Some mailboxes are asked to enter a security question and answer for future restore mailbox. Write a question the answer to which only you can know. Complete the registration and try to log in to your new mailbox using the username and password. 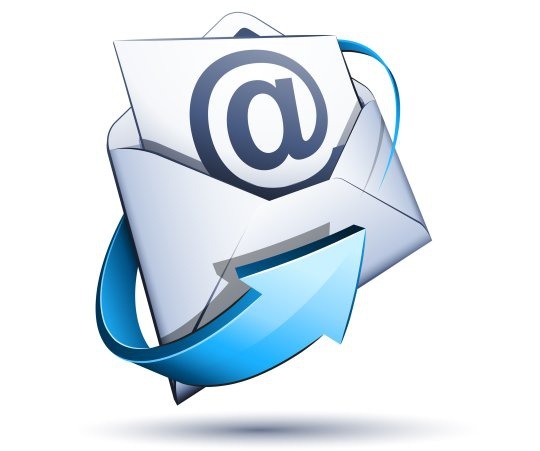 To write a message, click on "Write new message", enter in the address line of the mailing address of his companion, write the desired text and hit the send button.